"Female ginseng" Dong quai has been used for more than 2,000 years in Traditional Chinese Medicine for low vitality, fatigue, pelvic pain, irregular menstrual cycles and menstrual pain. Recent Scientific studies suggest that it has anti inflammatory, pain-relieving and muscle-relaxant effects. Quick Defense Capsules contains wonderful immune booster to prevent body from infections. 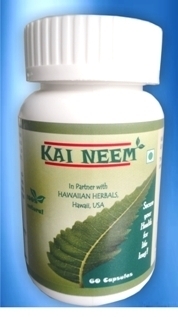 It is 100% natural product and without any side effects. It is HALAL and Kosher certified product and has been produced under international GMP regulation. Quick Defense supports the body’s rapid response to immune stressors. Made with supercritical extracts this formula contains high levels of Alkyl amides - constituents effective in supporting a quick immune response. The respiratory system is responsible for pulling oxygen out of the air and delivering it to the blood. Maintaining respiratory health can be difficult in the face of seasonal challenges. We have launched a new product in India Respiratory Defense Capsules to support healthy respiratory system in technical collaboration with Hawaiian Herbal USA. Respiratory Defense provides synergistic herbal support for the immune and upper respiratory systems, helping restore health to mucosal tissues of the lungs and sinuses.